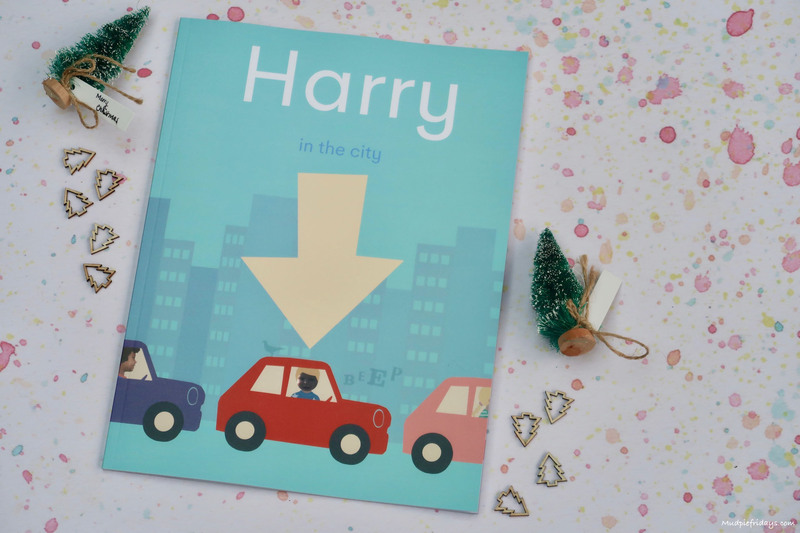 Gift Guide for a 3 Year Old: Here are some great ideas for boys and girls aged three and over. I have tried to keep it as gender neutral as possible, which is much easier with this age group. Just like my other guides this year you also have the chance to win all the contents worth £242. Kipper is at that age where he is starting to engage in imaginative play. His favourite at the moment is delivering ice creams around the family. So I know that this little BBQ set will be perfect for him. Jo Jo Maman Bebe is a brand that I have turned to a lot since having the boys as I know their quality is unrivalled, their wooden toys are no different. The Play BBQ set features everything your child will need, including food, plates, cutlery, tongs and even skewers to thread on the tasty morsels. The paint is child safe and suitable for ages three and over. RRP £32. Sometimes its nice to give a gift which is not a toy. Kipper doesn’t like traditional slippers preferring moccasins. There are lots of different designs to choose from but I think these are gorgeous and perfect for this time of year. They are made in Sweden of natural ecotex certified materials. The finishing touches are even made by hand, with leather moccasin sole is durable and flexible, allowing children’s feet to move freely and muscles to develop. They are also skid proof which is much needed for a toddler. The sewed in double elastic at the ankle prevents the moccasin from falling off. 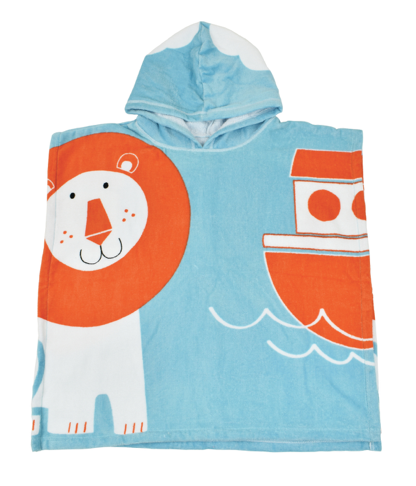 I also like that they are washable which is a must with little ones. Available in sizes UK 1 (11cm) all the way up to mens UK 46/47 (31cm). Prices vary from £25 – £37 depending on size selected. Hallmarks Itty Bittys have been a huge hit with the boys. 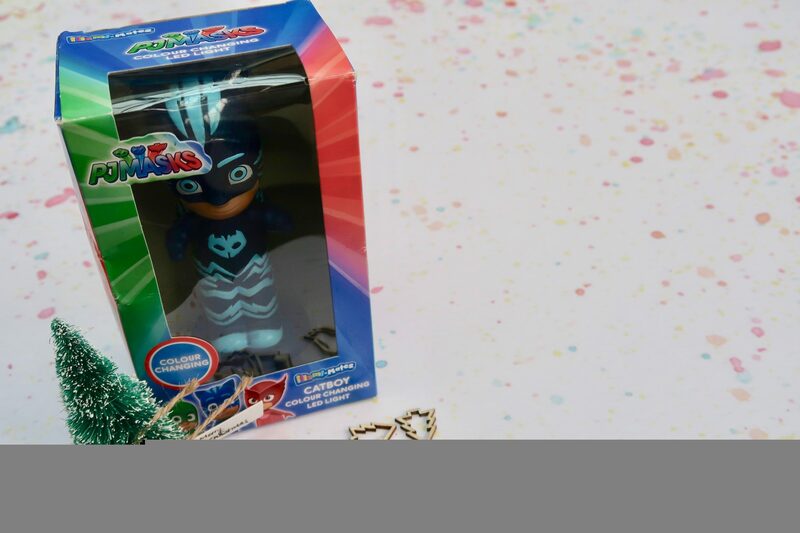 They make ideal stocking fillers and with so many different ones to choose from you are bound to find a character which is perfect for your little one. Keeping on the education theme, Learning Resources is another go to brand of ours. They have recently updated their Play Foam by bringing out Play Foam Pals. Play foam is perfect for sensory play and the little creatures bring a different element. Allowing imaginations to make nests and homes for their new pals, along with extra arms and legs. Play is only limited by imagination. In total there are twelve different wild friends to collect. There is also a collectable sheet so that you can mark off the ones you have collected. The contents vary and you can not tell which wild friend you are going to meet inside the foam. Which gives the element of surprise. 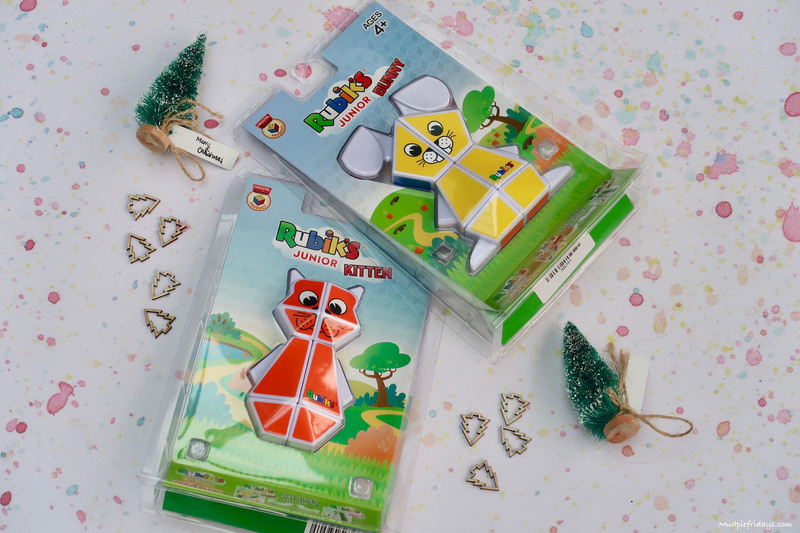 Pack sizes vary, this two pack has an RRP of £6, so would also make a great stocking filler. Play-Doh is another firm favourite in the Mudpie Fridays household, in fact I even use it to keep the boys entertained on planes! I like the sets that they create as they really help with imaginative play. This 3-in-1 Play-Doh ice cream machine is no different. It comprises of a pretend ice cream maker, whipped cream tool and sprinkle maker. Like many other sets there is a lot to it including the ability to top off creations with colourfully crazy candies using the half-moulds all around the playset. The set includes 15 different accessories, dishes, cones and other accessories for imaginary ice cream parties, as well as six Play-Doh colours in two-ounce cans and two Play-Doh plus colours in one-ounce cans. There are also two creation cards to discover step-by-step ideas for more fun things to make. The plus colours are specifically designed with little ones in mind as they are easier to squeeze through the ice cream machine. RRP £31.99 Available from Hasbro and all good online retailers. 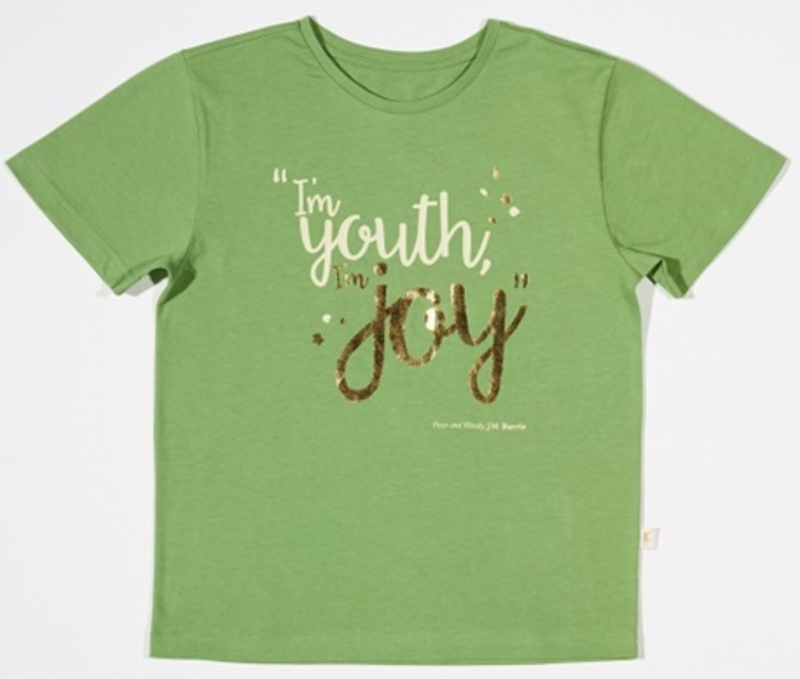 Celebrating one of the most iconic lines from JM Barrie’s Peter and Wendy, our exclusive children’s t-shirt captures the true spirit of the story and children everywhere. The t-shirt is made from 100% cotton, machine washable and available in seven sizes, from ages 2-12. RRP £10. If you would like the opportunity to win the items included in this gift guide which are worth £242 then please enter via the gleam application below. For a full list please see the T&Cs below. Good luck! The winner will be drawn at random and will receive the items mentioned in the gift guide, many of which are sent direct from the PR companies so I can not guarantee that these items will reach you before Christmas. Fantastic guide and giveaway! Thank you! What a superb prize bundle, thanks for the chance. Great ideas – I think a lot would be suitable for my 2 1/2 year old too. What a lovely selection of presents, perfect for my twins! What a great gift guide! I want to play with the play doh set myself lol. My neice would love the Itty Bittys, they are so cute! 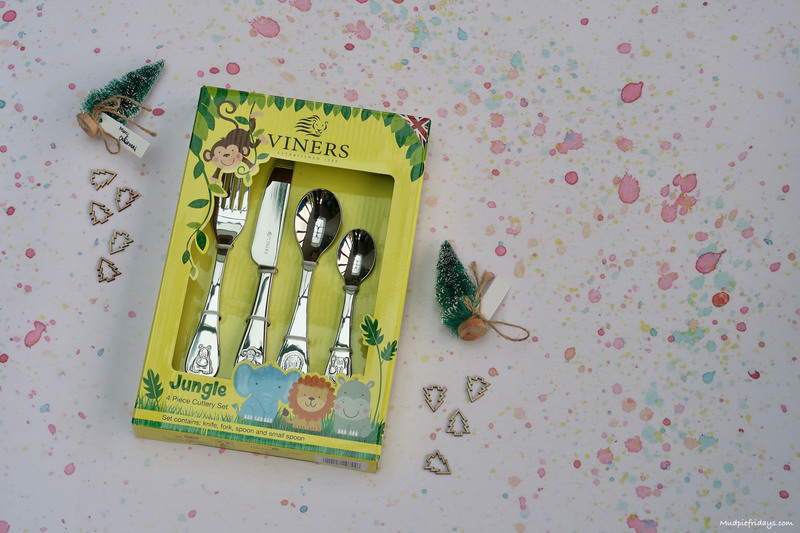 Aww this is a lovely bundle of goodies, I love the little Viners cutlery collection, I would gift this bundle to my nephew. My grandson would love the Tractor Ted – Wooden Farm Toys in a Bag he is animal mad. I would love to win this for my son. Great gifts. this is uttery incredible thank you so much for getting this together for some lucky person to win! Lot’s of great ideas there. I was reading through and thinking how my niece and nephew would love every one of them between them. What an amazing bundle of toys – my young niece and my daughter are both just the right age to enjoy these together! This is a fantastic bundle with some great ideas. 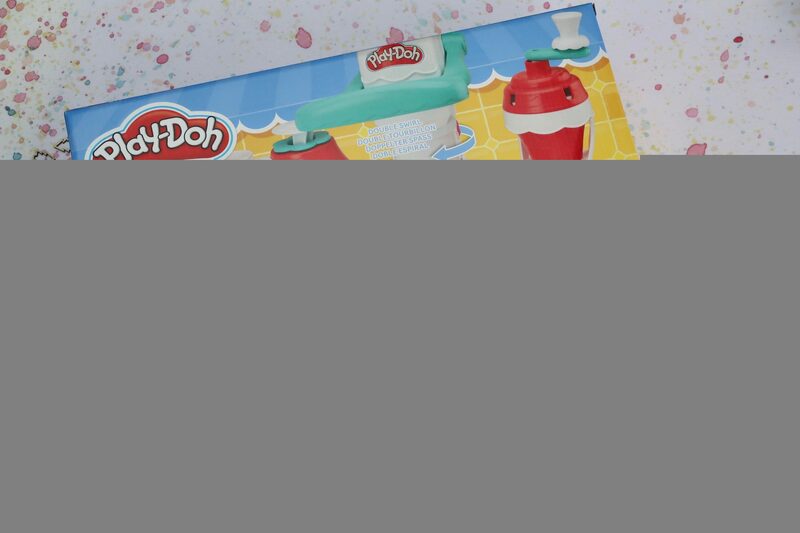 Fab giveaway, I love the play doh ice cream maker especially. Lovely gift ideas here for my younger grandchildren! 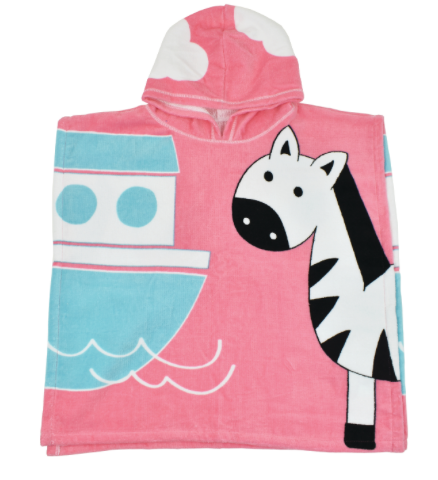 Fantastic bundle of gifts here- my youngest is 3 and would absolutely love this! Have a baby girl and 3 nieces! So got plenty of gifts to share if I win! Great bits for the kids! Great ideas for gifts that really help when trying to choose presents for the right age range at Christmas time. This is such a great prize, my daughter would love it all! Such a great prize in the run up to Christmas! Great ideas, I’m going to buy the rubiks junior bunny for my little brother. Such a great selection of gifts! Think my little one would love all of these gifts! wow this is a fab bundle my grandaughter would love everything! especially iggle piggle. Fabulous for my great-nieces for Christmas. Thanks for a lovely giveaway. Wow! Amazing giveaway and some awesome ideas. Some good inspiration, it’s difficult to trawl through the sheer amount of toys and find ones that have some value beyond opening the box so this is a refreshing post and list. Great selection. Perfect for my granddaughter. The ponchos are so cute. I’ll have to get some of those. Between the 2 of them my boys would be over the moon with all these goodies! My little girl is almost 3 and she’d definitely love most of this, some really good ideas! Fantastic prize, my son would love this. omg id be the most popular auntie ever with all this!!! Play-doh is a great gift as it is well used and new Play-doh is always welcome. The playsets give children new opportunities to use their imagination. My little boy is 3 so these would make an amazing Christmas present for him. Thank you for the opportunity. My daughter is 3 in January, she would love all of this. Thank you. Some lovely ideas for battery free fun for little ones. I have a three year old and I know he would be very happy with most of the items in this guide!